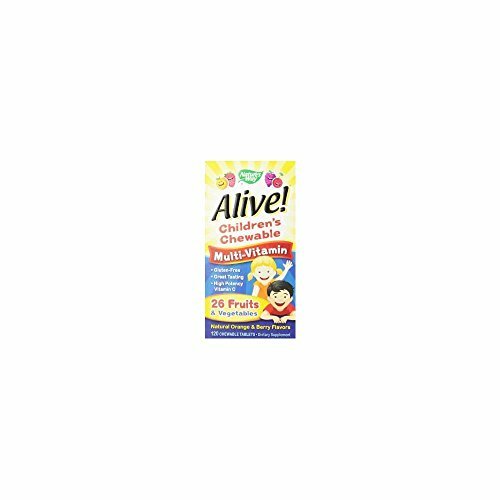 Children’s chewable multivitamin made with 26+ fruits and vegetables plus nutrients to support children’s health and growth. Uniquely balanced to nourish your childs health and growth. Extra B-Vitamins for energy & metabolism. Extra vitamin C for skin, immunity& eyes. Vitamins to support healthy immune defense, bones, teeth, energy, eyes and digestion. Naturally, a good choice: No artificial flavors, colors or preservatives. Sweetened with organic tapioca and cane juice. 26 fruits and vegetables plus antioxidants (bioflavonoids) from natural citrus. Buy Childrens Gummies - Complete Kids MultiVitamin and Mineral Support in Childrens Vitamins - Mother's Select Li'l Gummies Contain Vitamins A, C, D, E, B and More - New Improved Great Tasting Formula!